Stagnant water will grow a very difficult and deadly bacterial disease called legionella, Legionellosis, or legionnaire’s disease. It reproduces in mass in warm soupy water. 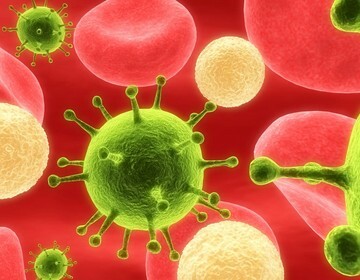 The Aria hotel Casino has had a history of outbreaks that have led to guest notifications of this disease, most commonly from June 21- to July 4, 2011. Symptoms of this respiratory disease include chills, vomiting, cough, exhaustion, sore throats, shaking, lung infection, pneumonia, and overall sickness. Usually the outbreak will affect multiple persons. The cause can usually be determined by process of elimination including showers, faucets, spas, HVAC systems, hotel boilers, pool mister equipment, and other water features that make the bacteria airborne or misty. It is fairly clear that consumption will not lead to illness. The bacteria will take at least one week to grow on a specific medium to re-create and prove up a culture. Liability for such diseases can be determined as the Water Authority in the area will do mass testing after such an outbreak in an area around the suspected contamination origin. Liability with the Las Vegas Valley Water District will end if the water is clean at its test sites whereby samples can positively rule out their liability. Those pipes leaving the street and entering a hotel premises are the responsibility of the hotel. Many hotels have their own water system plants including pumps, filtration, decontamination, etc. They must monitor the water to prevent such outbreaks. Neglect of the water systems can lead to the perfect recipe for bacterial hotel water sickness. If you were ill and have been diagnosed with Legionella call Benson and Bingham first before calling the hotel. 702-382-9797 Ask for Attorney Joe Benson. Need a Legionella attorney call Benson & Bingham today. Read how Six People Contracted Legionnaires' Disease from the Water Supply at Aria Resort.